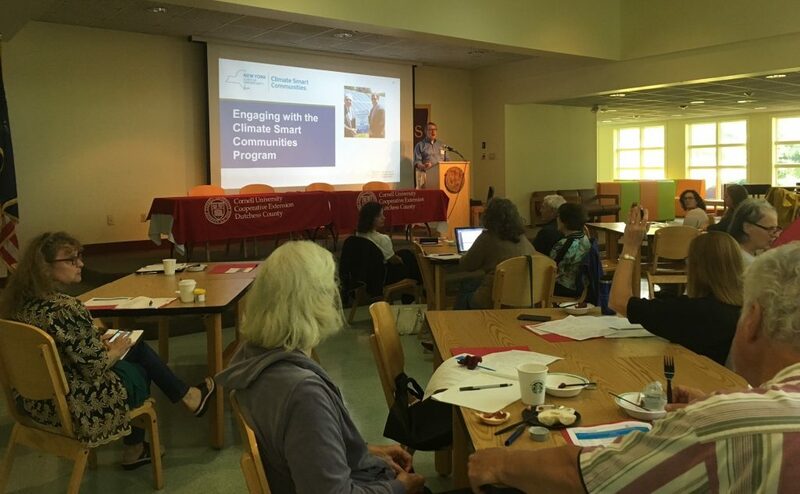 On Saturday, June 24th, 2017 Cornell Cooperative Extension, in partnership with the NYS DEC Hudson River Estuary Program and the NYS DEC Office of Climate Change hosted a forum for Hudson Valley communities on the Climate Smart Communities (CSC) grants program. 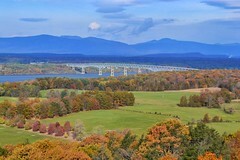 Communities learned about new climate resilience grants and free technical assistance available through the NYS Climate Smart Communities (CSC) program and Clean Energy Communities (CEC) program. The forum featured municipal leaders from the Village of Piermont and Orange County who provided insights into how their community is leveraging state resources to adapt to climate change and extreme weather. 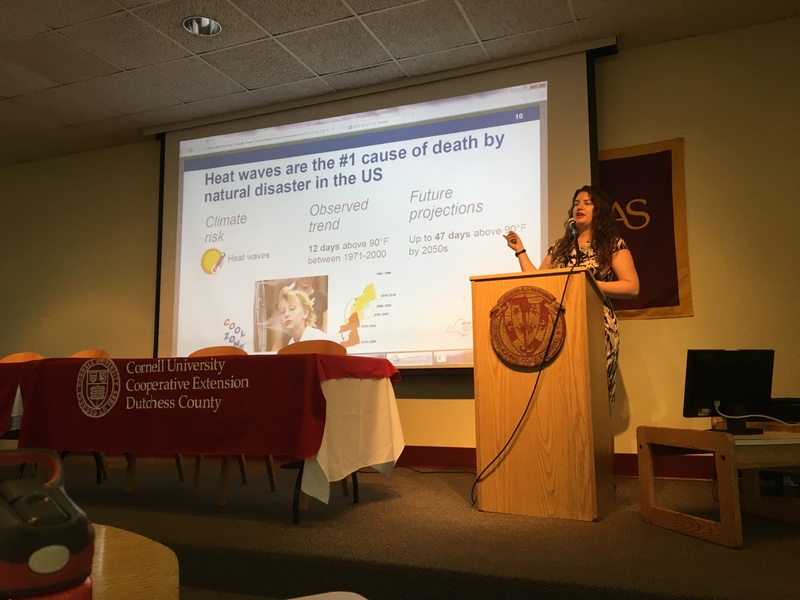 Presentations were also given by representatives from the NYSDEC Office of Climate Change and the Hudson River Estuary Program on topics, like the Community Risk and Resiliency Act. The program ended with a panel discussion and question and answer with all of the speakers. 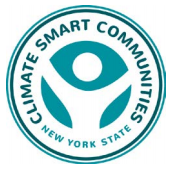 The Climate Smart Communities Grant Program is a competitive 50/50 matching grant program for municipalities to conduct climate change adaptation or mitigation implementation projects, or to undertake eligible actions as part of a strategy to achieve Climate Smart Communities Certification. Eligible implementation projects include those related to flood risk reduction. Applications are due by 4:00 PM on July 28, 2017.